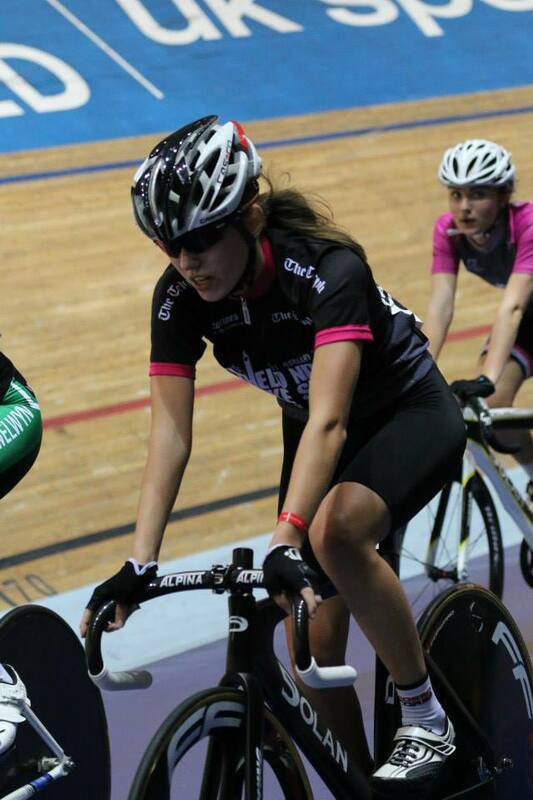 Youth u16 Rider Maddie Gammons from Bourne Wheelers has certainly had a November to remember. 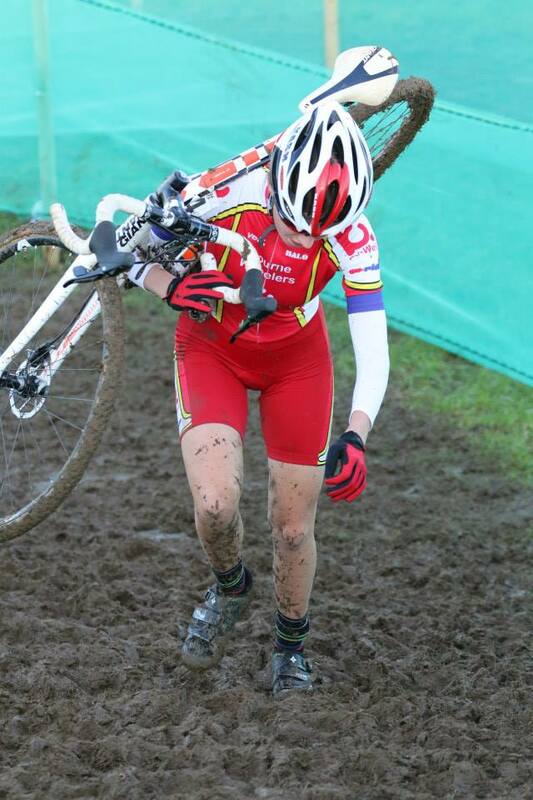 Maddie had a disastrous start to her National Series campaign with a mechanical at Round one in Shrewsbury. She then went on to win rounds 2 and 3 in fine style. This weekend was always going to be the crunch event for Maddie and she went into the event with great form. The World cup course was challenging for all youth competitors and Maddie had her share of bad luck . After a storming start, she managed to stay clear of the lap one crashes however the technical course took its toll and Maddie suffered a series of set backs with slips and crashes which dropped her back through the field. 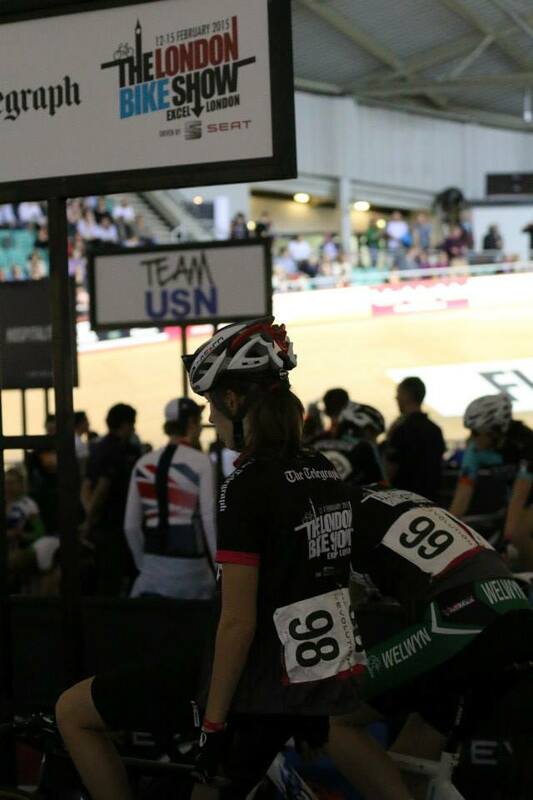 She battled hard however and managed to secure 4th place which was just enough to take the series leaders Jersey. Maddie Gammons on the podium at Milton Keynes. Milton Keynes Round 4 involved lots of running. 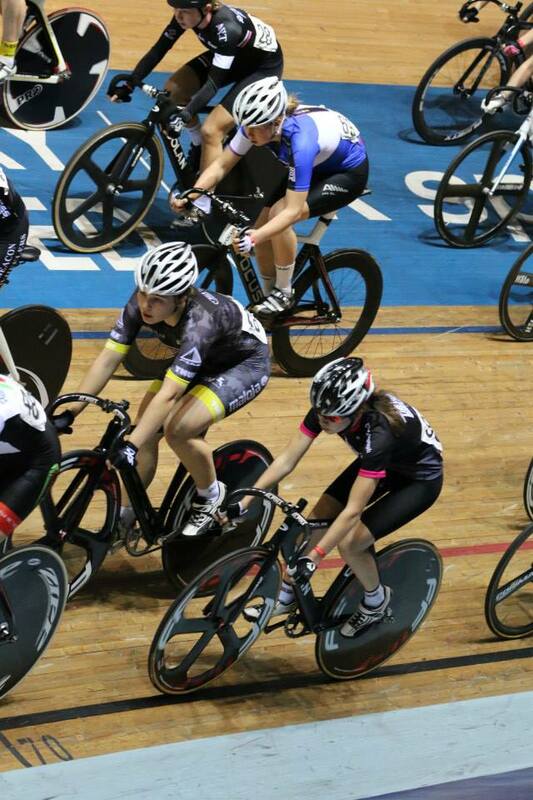 The Weekend before Maddie had a late call up to the Revolution Future Stars event at Manchester Velodrome. 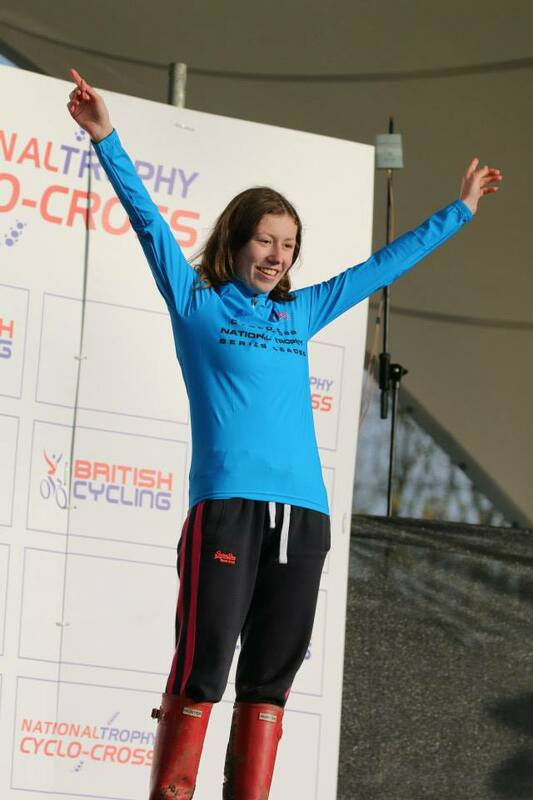 The short notice call up wasn’t really great for Maddie as she had just completed a really hard week of Cross Training in preparation for Milton Keynes, however she embraced the opportunity to race and gave it her best shot. She finished mid field in most races, but was most disappointed in the points race, finishing 4th in most of the point sprints just missing out on scoring points.